Next to the bribery allegation that rocked former House of Representatives member, Hon Farouk Lawan, in infamy is the budget padding controversy involving Speaker Yakubu Dogara. Former Chairman, House Ad-hoc Committee on Fuel Subsidy Regime, Hon. Lawan, was alleged to have received $620,000 bribe from businessman, Femi Otedola. He lived in denial for so long, unknown to him that the transaction was recorded by Otedola. Although, the case of bribery instituted against him and the former Secretary of the committee, Boniface Emenalo, by the Independent Corrupt Practices and other related Offences Commission in 2003, is neither here nor there, Lawan, Mr. Integrity as he was once called, has been quiet ever since. Now, what rankles about the entire budget padding saga is the way and manner Speaker Dogara is carrying on, as if telling all of us thus: “yes, we padded the budget, and so what? You can all go to blazes”. The other day he visited Aso Rock Presidential Villa to discuss with President Buhari on the same issue, he emerged from the meeting to grandstand before State House Correspondents, saying, “What is padding? Padding is not an offence and is not anywhere in the constitution”. 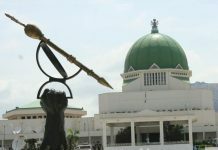 He repeated the same haughty attitude on Thursday at a Civil Society Dialogue Session in Abuja on the ‘One Year Legislative Agenda of the 8th House’. Dogara said those calling for his prosecution over his alleged involvement in padding of the 2016 budget were doing so out of ignorance. What an insufferable arrogance! He says no National Assembly member can be investigated or prosecuted for performing the legislative duty of passing an Appropriation Act and he is right. But we need, in my view, to separate the act of passing the Appropriation Act from the act of fraudulently manipulating the budget, which is criminal and deserves to be punished. I have made the point in an earlier article entitled “Dogara, Jibrin and Can of Worms” and it goes this way: “I’m well aware of the provision of Section 80 (4) on the power of the Parliament over public funds, but I think this power is being overstretched. Where does the Parliament’s power of appropriation end, and deliberate padding and fraudulent manipulation of the figures begin?” Former Chairman, House Committee on Appropriation, Hon. Abdulmumini Jibrin, may be an aggrieved party in the extant case, but he is an insider and his allegations should not be swept under the carpet. The nation needs to get to the bottom of the allegation of criminal activities by House leaders in passing the budget. Beyond all the grandstanding about the Parliament’s power of appropriation, Speaker Dogara has some explaining to do, in my view. In the meantime, what I set out to do this week is to make some interventions on some issues, including Dogara’s obduracy, as I have already pointed out. I plead with readers to indulge me this week. Issues and events are occurring in quick succession for which a writer needs to comment on. Significant for me also is the Dream Team’s performance thus far at Rio Olympics. The story of the adventure of Nigeria’s football team at the ongoing Rio Olympics has once again reaffirmed Nigeria’s hardiness, toughness and the can-do spirit in most of us. At the time I was writing this piece, the country’s Under 23 football team had qualified for the Quarter Finals of the football competition even after their first two games. Even if that is all they achieved at the event, they have won my heart, going by their bumpy road to the games. Barely six hours after they landed in Brazil, after being stranded for hours at Atlanta, U.S, they went into the match with Japan and defeated that country. In the second match played without their bonuses paid, the team also beat their opponent, Sweden, 1 goal to nothing. I was ashamed of my country when even the commentator for the Nigerian/ Sweden match spoke of the Dream Team’s rough road to the games and their spectacular performance in spite of the travails. Also, when the games formally began with the opening ceremonies, the dresses for the Nigerian contingent had not arrived. It’s all well and good that the Sports Minister Solomon Dalong has apologised for all the lapses, saying he was taking responsibility for them. It should go beyond that, however. The country should probe and uncover who actually did not do what he or she was supposed to do. Not to worry though, when we probe deep, we will discover that the problem was about funds; funds not been allocated and not been released and when eventually released, not being given to those for whom they were meant. Adequate planning and preparation are key to winning games at events like the Olympics. We cannot be failing to plan and be preparing properly, and expect to win medals at competitions. Even before the curtains are drawn on the games, our results are staring us in the face: one or two medals, if any at all. And this: Governor Nyesom Wike pleasantly surprised some of us Editors last week. It was the most unlikely thing I expected to hear and glimpse, given the animosity between former governor Rotimi Amaechi and Governor Wike who were once political buddies. As a matter of fact, Amaechi could be said to be Wike’s political godfather because the latter was the former’s Chief of Staff. But they soon became estranged and turned into combatants. Rivers, at some point, became a theatre of war with Wike and Amaechi leading troops of supporters and sympathizers who constantly clashed. Those who are resident in the state would tell you there are many flashpoints in the incessant skirmishes between the two. 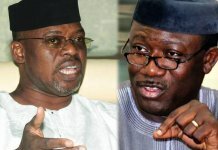 Despite shaking hands and signing a peace deal recently in Abuja at the instance of Acting Inspector-General of Police Ibrahim Idris, the battle between the duo is not over and does not seem about to be over. It is waiting for another day, perhaps for the postponed senatorial elections in the state. But as I indicated earlier, Governor Wike surprised me by seemingly putting politics aside and embracing the culture of continuity of projects, as we have seen in Akinwunmi Ambode’s Lagos. Please, get it right. It should n’t be a big deal that another governor continued and perhaps completed the projects initiated by his predecessor. However, in our own peculiar brand of politics and style of governance, some governors would not touch, talk less complete projects initiated by their predecessors, even if they are both from the same political party. They would rather initiate their own projects that would stand to their names. 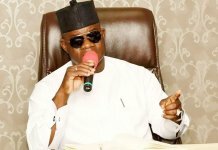 The governors in this category are also not dissuaded in this condemnable act by some in our society who would rebuke them for completing other governors’ projects rather than initiating their own. So it was news to me when during the Nigerian Guild of Editors’ Conference last week in Port Harcourt, which he hosted, Governor Wike gleefully regaled editors with the list of projects he inherited from past administrations in the state, including Amaechi’s regime, which he has continued with or even competed in some cases. His administration, he said, started 27 new roads and completed 15 strategic roads and bridges abandoned by the previous administration. Two of the projects he inherited and continuing with at present are remarkable: the Civic Centre initiated by Diete Spliff and Eleme Road the dualization of the 16 km Sakpenwa – Bori – Kono road started by Amaechi. Hitherto abandoned by previous administrations, Wike has completely transformed and remodelled the Civic Centre and it’s now an architectural masterpiece to behold. The Sakpenwa – Bori – Kono road straddles three local government areas in the state. Wike said the questions he always asked about abandoned projects in the state included –“will the project generate money for the government and will it be beneficial to the people?” For me, this is a new commendable side of Wike, not the tough-talking, combative side that we normally see and I commend him for this.